Discussion in 'Console Games & Hardware' started by Dan7, Apr 17, 2013. 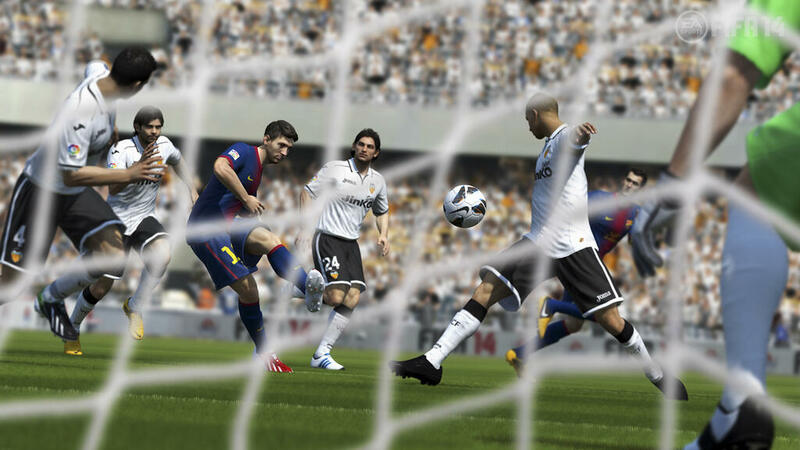 FIFA 14 is out on Xbox 360, PS3 and PC on 24 September 2013 in North America and 27 September in Europe. Shooting has been transformed. Players have the intelligence to adjust their stride and approach angle to find the best position for hitting the back of the net. Well-hit balls feel satisfying and goals are rewarding. As well as quality strikes, players can now shoot while off balance or rushed. Fend-off and block defenders from the ball while dribbling at any speed. Protect the ball from opponents to control play through midfield and dictate the tempo of the match. Plus, out-muscle opponents for position before receiving the ball, then turn defenders to carve out opportunities. Strike the ball with more force and finesse. Realistic ball physics now determines the trajectories of balls in game, enabling players to strike the ball with force from distance, drill low rising shots with accuracy, and blast dipping or swerving shots, just like real footballers. Experience the world of professional scouting as you search for talent around the world. Develop and refine your own scouting network. Evaluate footballers to uncover the attributes of players who could bolster your squad during the transfer windows. A new hub delivers easy navigation, fewer interruptions and live scouting reports. Deeper chemistry system: In FIFA 14, you can customize your squad to play any style of football with all-new FUT Chemistry Styles. FUT Chemistry Styles and Loyalty will make each player and every team unique. These aspects replace player formation and morale in the mode. For example, if you want to increase your striker’s scoring ability, you may choose to apply an Attacking Chemistry Style to boost their attacking attributes. 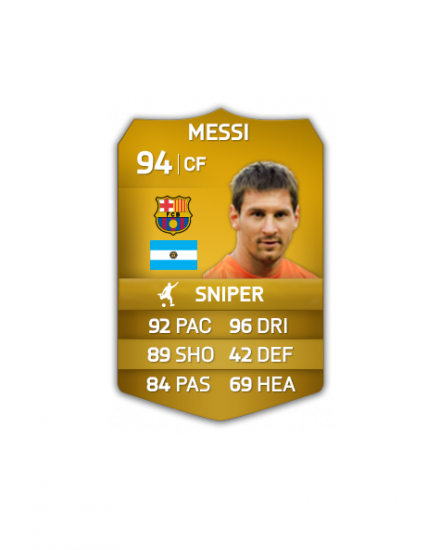 Online Single Matches: The community’s most sought-after feature returns in FIFA 14. 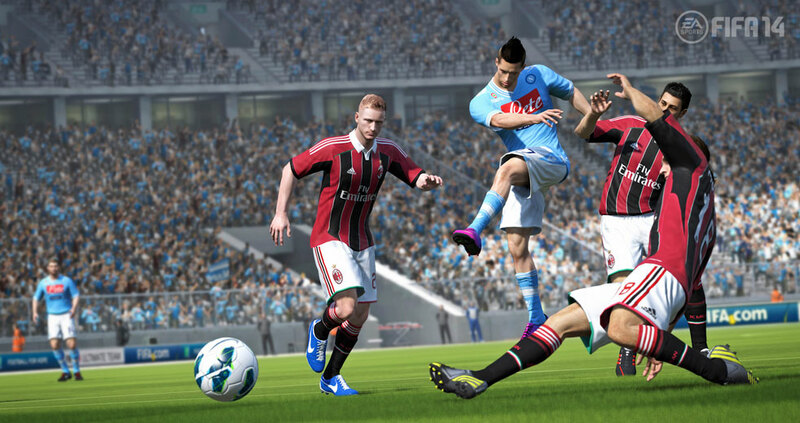 Players will be able to test their talents in single game matches online against rivals. Expanded Seasons Mode: Compete online or offline in Seasons Mode, featuring 10 divisions with promotion, relegation, coveted titles and the chance to qualify for tournaments. The new historic Seasons stats will track your results, and you can earn rewards such as coins, items, and players along the way. New Transfer Market search & compare options: A new streamlined, user-friendly search interface enables you to seek out players by name on the Transfer Market and compare them to your roster. Player Loyalty: Players found in packs automatically start with a loyalty Chemistry boost, but those acquired in the Transfer Market do not.These players need to play 10 matches before they unlock loyalty. New squad customization options: For the first time ever in FIFA Ultimate Team, you’ll be able to customize your squad’s kit numbers and set-piece takers directly from the squad screen. Hopefully they will improve the servers and well the whole game in general lol. Fifa 12 was extremely good (imo) 13 was ok but had major faults (again imo). As much as I love footie games, since 11 I've felt the series has declined in the ease of which it plays. I know that's probably not the common consensus but I can see in the amount of time I've played each game that the shine has somewhat rubbed off. It's always worth a buy though - it's a popular MP choice when the bro/bro-in-laws are round. /edit: I should clarify. Awful connection issues on UT ruined my experiences of the past two games. I have a Virgin Superhub which is apparently the cause, yet only affects Fifa. Maybe I'll buy 13 when this comes out, still playing 12. Gameplay wise I hope they change first touch gimmicky bull****, the fact that anyone can score from 40 yards, that weak foot actually means something, that finesse shots are worth being in the game, that not every single player is capable of a 360 no-scope lobbed through ball and that goalkeepers might actually do something productive, like, ever. They should make it more like 12, 13 was pure arcade pace abuse lameness. Undecided on this. 13 just ramped up the frustration from 12. It's great to play with friends round though. I'll pick it up, as much as I pretend I won't, I will. Looking forward to the inevitable demo. Though we can pretty much ignore whatever EA say. Extra intelligence? yea just like FIFA 12. More advance physics? Yep just like FIFA 12. It'll be a reskin, updated rosters and the same old bugs which have been in the game since fifa 11 and 12. To be fair, I thought the difference between 11 and 12 was pretty significant. 13 was weak though. Pro Evo was extremely good once upon a time but they really lost it I do wish someone could give EA a run. But I really can't see it happening for some reason. Just got to hope that EA produce a decent game this time around. But yea I really hope they get rid of this first touch system. Or at least improve it (god knows how). They kept saying it was to add "randomness" to the game but all it did was make the whole game luck based. Still the bit about TEAMMATE INTELLIGENCE and REAL BALL PHYSICS. Sounds promising so will be interesting to see how it is implemented. As mentioned though I'm a total sucker for fifa games though. It’s the one game I still buy every year without fail. But then I do get my money’s worth of game time out of it. It was, but was it for the better? I'm not so sure. The biggest change was the tactical defending (which I love), which brought a lot of frustration to people who couldn't get their head around things. Like EA slowing players down when you're controlling them and tracking the run. Ball over the top and the player will slow down. Still having the ability to steal the ball from the goal keeper - Any kick out of the keepers hands which is blocked by the attacker is a free kick. End of story. Like when taking a throw in the opposition corner, you only have one player to throw it too and the players don't move for throw ins. How the game is so engineered for pace, even though EA claim it isn't (fifa 13 was all about passing and not pace, which EA liked to remind us - didn't turn out that way). Ea were always improving the series until 13 so let's hope 14 is what 13 should of been. i shall wait til it drops to £25 before purchasing, imo this is a fair price for an update, i was not going to bother, but i made over £100 on fifa 13 for a few months worth of gaming on fut. this is no longer a must buy at launch due to how terrible the gameplay has gotten and EA as a company, i cannot make myself pay £30+ for this title no longer. i hope pro evo can make a comeback that is so badly needed. underwhelmed with the announcement and all the ball physics are in PES already which even in it's current state tells you about both teams focuses and weaknesses. FIFA with straying away from realism while calling it a sim... and PES focusing on simulation while forgetting about the importance of Animation and online connectivity. Both games seem to have announced features for 360/PS3/PC and are keeping their cards to their chest for E3 no doubt, could be very exciting times if both games can deliver even if it isn't on a current system we own. The other thing I am thinking is PS4/nextbox. If rumors are to be true we could be seeing the PS4 towards xmas. So will a version be released to the "new gen" and will the online play be cross-compat with the current gen versions so PS4 + PS3 and 360 + nextbox. That all said even when the PS4/nextbox gets released I will still be keeping my PS3 + 360 for that matter. I always keep an eye on pro evo, but as been for the last 5 odd years I will take any news on pro evo with a pinch of salt until the full product is available. I'm looking forward to E3 this year though. Should be really interesting. In my opinion the following need sorting..
- Keepers, they should be reprimanded for hacking people down. Red cards need to be shown, not just yellows. - Keepers being beaten at their near post. - Keepers in general, 12 had good keepers, 13 has just got rubbish keepers, Neuer, Casillas are just pathetic, limp wristed, clueless idiots. - Defenders, the 'AI' is just so dumb, lobbed through ball so the attackers will run onto the ball whereas the defenders will stutter/stop resulting in being no where near the attackers. - Set pieces, far too easy to score from corners and freekicks. - Long shots, far too easy to score long shots, in fact ridiculously easy. - Weak foot, is there one? Muriel scored a left footed 30 yarder against me yesterday. - Balance stats out, Agbonlahor maybe fast but does he have to be so clinical in front of goal? His RL version certainly isn't so make him rubbish on FIFA in front of goal. - Finesse, it's pretty useless now, improve it or get rid, its only worth using when a keeper is outside his area or you have an open goal. - Passing, why are Xavi, Silva, Fabragas etc's passing as woeful as a bronze/silver player? No wonder people just opt for pace over anything. This is all I can think of for the mo, I'm sure when I have a few games tonight more will pop into my head.